Do you want to be happy? I think we all do. Too often people think that God would not want them to be happy. Like God’s goal would be to make you unhappy. That doesn’t ring true, does it? Quite the opposite is true in fact. 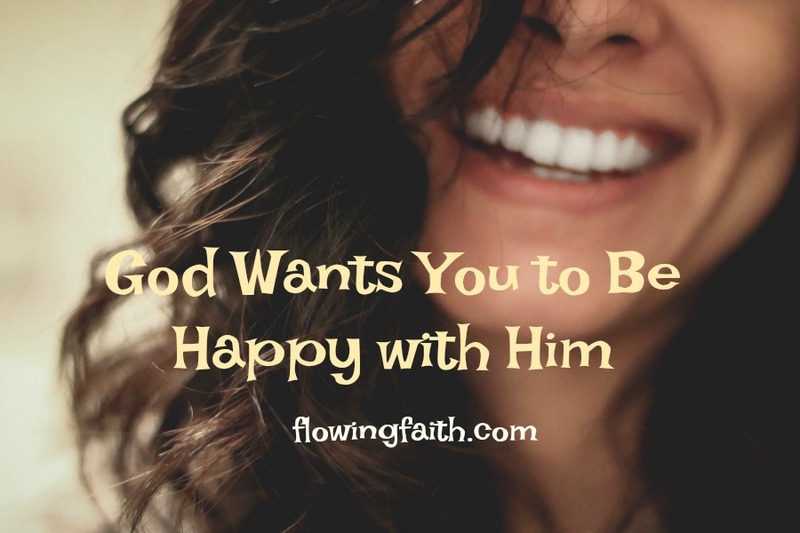 God wants you to be happy with him. With the words of Charles Spurgeon “Man was not originally made to mourn; he was made to rejoice. The Garden of Eden was his place of happy abode, and as long as he continued in obedience to God, nothing grew in that Garden that could cause him sorrow.” We were created happy. But that was not enough for us. We wanted to be God ourselves. Hence, we had to leave the land of happiness and peace with God was history. God doesn’t give us orders and regulations to make us unhappy. His goal is to keep us away from harmful things and habits. Obedience might not feel fun but Jesus does not want us miserable. That’s the devil’s job. He does not want you happy, he wants you as miserable as he is. Jesus’ goal is to save you from your sins that separate you from God. The only way to lasting happiness is Jesus. When we abide in him we are happy regardless of our circumstances. It takes some practice to learn to cast our cares on Jesus but when we master that skill we are truly happy. Because life is not about owning things or being entertained. Life is about loving God above all and our neighbors as ourselves. It’s about serving others and following Jesus. Life is about finding everlasting happiness in Jesus and his plan for us. and forgive us for not trusting you to want happiness for us. Because you do! You’ve always have wanted only good things for us. Fill us with your loving Spirit. Enable us to love you above everything and others like ourselves. Make us shine happiness for your glory. Be blessed my fellow pilgrim as you enjoy life with God! Photo by Les Jay on Unsplash, design by Mari-Anna Stålnacke. I am linking up with Unite the Bloggersphere and #tellhisstory.